Irish gay author, Glenn Quigley, originally from Dublin but now living near Belfast, has released his follow-up novel to his gay-themed debut, The Moth and Moon, which was released earlier this year by Ninestar Press. 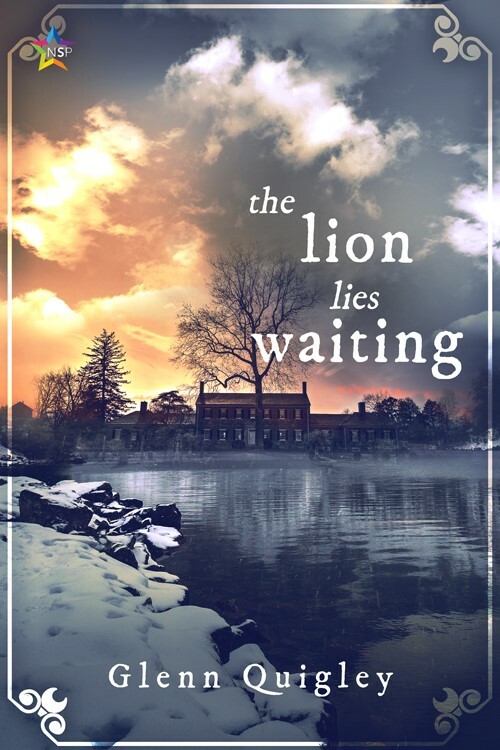 The new novel, titled The Lion Lies Waiting, will be on Amazon, and at most major retailers, from 17 December 2018, just in time to be bought for that special someone as a pressie for Christmas! (Or for yourself!!). Winter, 1780, and the solstice is fast approaching. Four months after the events of The Moth and Moon, burly fisherman, Robin Shipp, is preparing for his first Midwinter festival with his lover, the handsome baker, Edwin Farriner. But when a letter arrives begging for help, they must travel with their friend, Duncan, to Port Knot on sinister Blackrabbit Island, for a final confrontation with Edwin’s mother. Also visiting the island are Lady Eva and her wife Iris, with a stunning proposition that could change Robin and Edwin’s lives forever. Old rivalries will flare, shocking secrets will be revealed, and, as Duncan’s scandalous past finally catches up with him, will it ultimately destroy them all? The men will be tested to their limits, as they discover that on Blackrabbit Island the lion lies waiting. EILE Magazine interviewed the Lion Lies Waiting author, Glenn Quigley, in the Mar/Apr 2018 edition, pages 22-25, after his debut novel, The Moth & The Moon, and found that Glenn, as well as being an author, is also a graphic designer, having created the wonderful logo for the Dublin Bears of the celtic bear-paw print, and creates designs for www.themoodybear.com. He also has an interest in photography and water-colour painting! A man of many talents. Put The Lion Lies Waiting on your Christmas list, and have a great read over the holiday!